Do you have payment plans? You have a 24-hour cancellation/rescheduling policy. Why? How do I keep my dentures clean? Is it okay to sleep with my dentures? When should I get new dentures? My lower denture is always loose, why is this? Do I need a new denture? My denture is loose and moves all over the place when I’m eating. What does that mean? How much will I get back from my health fund when I purchase my next set of dentures? Yes, we offer payment plans through Pretty Penny Finance, providing flexible payment options to make your dental procedure more affordable. Please call 9228 3434 for more information. 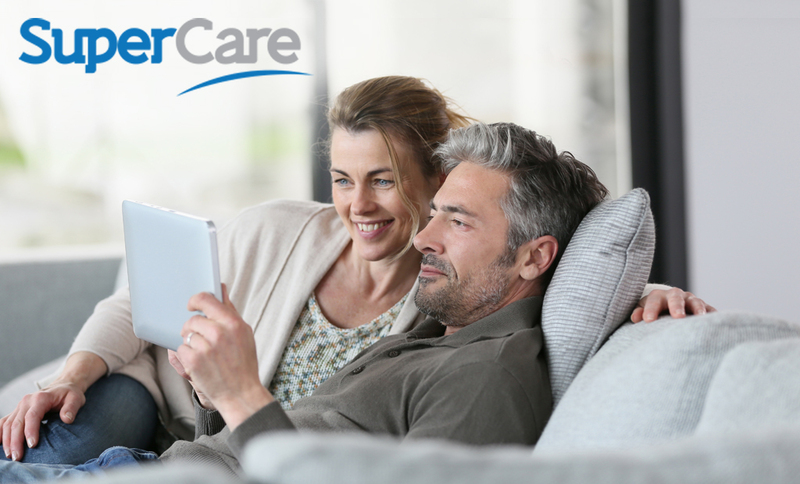 As an alternative option, you may also apply for early release of your superannuation to help fund your dental procedure/s – this option is available to accepted applicants only, through SuperCare. Please call 1300 665 440 or visit the SuperCare website for more information. You have a 24-hour cancellation/rescheduling policy. Why? In order to offer optimal service, Dentures Plus has a 24 hour cancellation / rescheduling policy. If you miss your appointment, cancel or change your appointment with less than 24 hours’ notice, you will be charged $65.00. This policy must be adhered to so as to respect both our staff and our clients. Cancellations with less than 24 hours’ notice are difficult to fill. By giving last-minute notice or no notice at all, you may prevent someone else from being able to schedule into that time slot. Additionally, these changes place a burden on management costs, as staff members have been recruited especially to serve you for a specified time. This is our number one question! The answer to this is DO NOT USE TOOTHPASTE! Regular toothpastes contain an abrasive agent, which when used to clean dentures wears away the acrylic, leaving microscopic scratches on the surface that retain plaque and calculus and essentially make it harder to clean your denture. The best way to keep your dentures clean is to first brush your denture with a medium bristled tooth brush in warm soapy water. Yes – any soap will do, but ensure you thoroughly rinse off all the soap. Once the denture has been cleaned, place your denture on a clean dry towel by your bathroom basin or somewhere safe and leave it there overnight. Do not soak the denture in water and denture solution. Is it okay to sleep with my dentures? The answer to this is: it’s up to you. 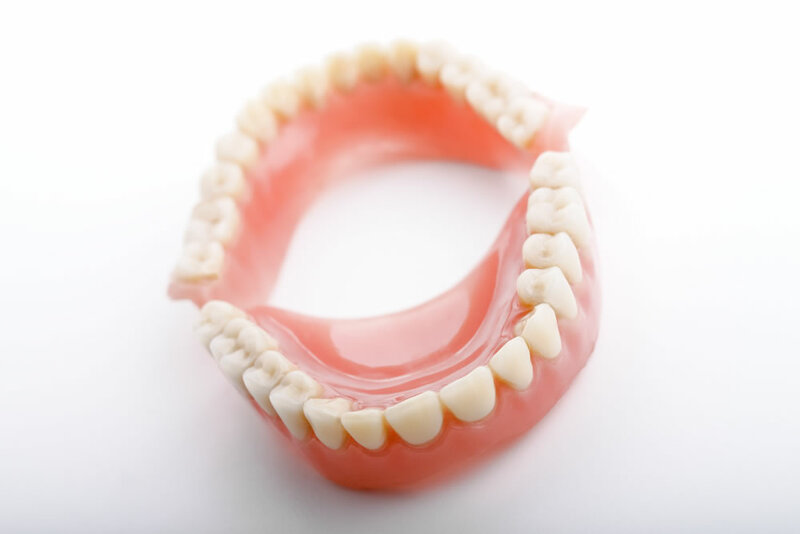 While ideally you should leave them out at night to allow the gums to recover, many patients do not like to be seen by their partner without their dentures in. There is a famous analogy, ‘Do you sleep wearing your shoes? So why sleep wearing your dentures?’ What this means is if they are not being used, then why wear them? Think about it… you are putting your gums under pressure for an additional eight or so hours whilst sleeping for no real reason – you don’t require them to eat, you’re not out in public, and you’re not trying to talk – so do your gums and dentures a favour and give them a rest! When should I get new dentures? It is advisable to get a new set of dentures every 5-7 years to keep up with the changes in the mouth and to ward off any signs of deterioration and wear to the dentures. However, a regular 6 monthly check up is advisable to avoid any unforeseen problems and to check the underlying tissues supporting the denture for signs of infection or sore spots. My lower denture is always loose, why is this? 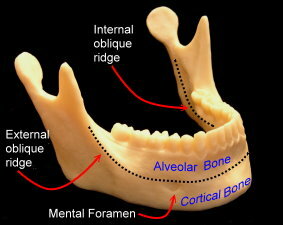 The “alveolar bone” is the special bone designed to hold teeth in place. When a tooth is removed, the body resorbs the bone that was responsible for supporting that tooth as it believes it is no longer required. 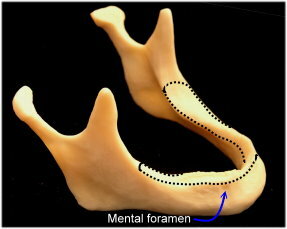 The body does not know that that bone is essential to support a denture, and unfortunately over time it is lost until it resembles the jaw on the right. However, there are treatment options available in even the most severe cases, so contact us for a consultation and treatment plan. This usually depends on how old the denture is: if it is over 7 years old, this indicates that it is time for a new denture to accommodate the changes in the underlying bone. My denture is loose and moves all over the place when I’m eating. What does that mean? Normally, this means 1 or two things. How much will I get back from my health fund when I purchase my next set of dentures? 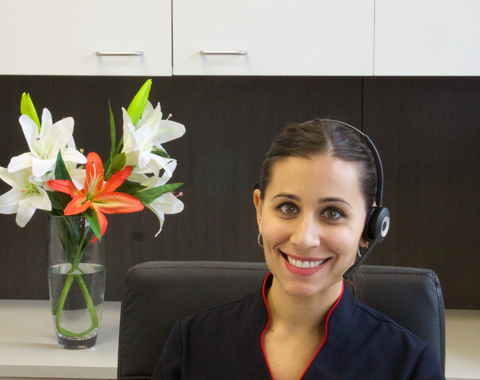 In order to reduce the cost for our patients as much as possible, we are both HBF Participating Providers and Medibank Members Choice Providers, which means you may be eligible to get up to a 60%-80% rebate from your next denture. We are also registered with all health funds so to find out exactly how much they will cover, just give your health fund a call.